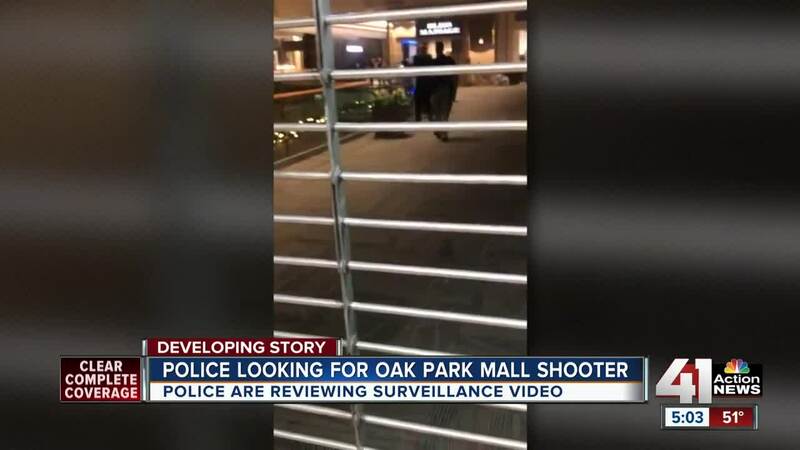 Police are continuing their investigation into what happened at Oak Park Mall Wednesday night. Police said several shots were fired in the parking lot, as evidenced by shell casings found on the ground and damage to surrounding vehicles. 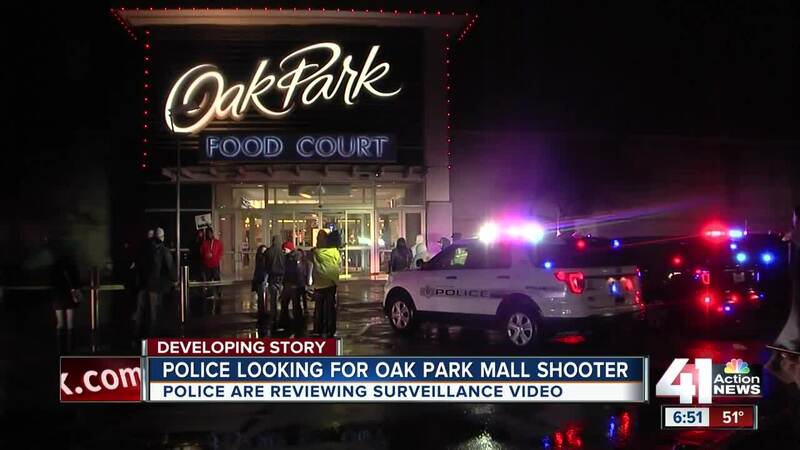 OVERLAND PARK, Kan. — Overland Park, Kansas, police said several gunshots were fired Wednesday night outside Oak Park Mall. Thursday, extra police were on mall property to provide security, according to a mall spokesperson. 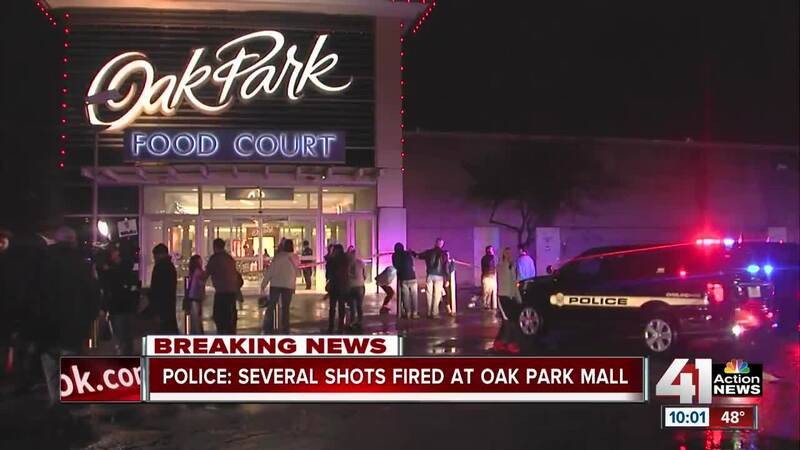 Initially, a police spokesman said no shell casings, victims or suspects were found at the mall, but the spokesman later said officials believe several shots were fired in the parking lot. Police said several shell casings were found outside of the mall just east of the food court. No victims have come froward. Police have not identified a suspect, or shared a description of the shooter or shooters. Thursday morning, a police spokesperson said detectives do have surveillance footage of a suspect. Two cars were found at the scene with bullet damage. Several shell casings were found near the cars. Hali Liu exited the mall to find her car behind police tape. Officers told her it was hit with bullets. "It's just insane to think it's one of your cars, you know? It's like out of all the people, all the cars in the parking lot, it's one of yours. It's just insane to think about, insane it was a reality," she said. Liu said she was in total shock, but expected the reality of the situation to set in later. She told 41 Action News she is thankful everyone in her family is OK.
"This is something you can't imagine happening to you until it does and, so, I'm just grateful that everyone was together and we were just all comforting each other and everyone was safe," Liu said. Police said customers hid inside the mall until police entered and located all of them. The mall closed early. Witnesses described the confusion to 41 Action News. "I turn around, my friend, he said, 'Run.' I turn around and I see people running so they said go through the back and we go inside the back where he works," Evan Huang said. "When we were running out, probably and not knowing what to do," Ryan Brennan said. "Do I stay in the store or do I run out? That was probably the most nerve-wracking part." 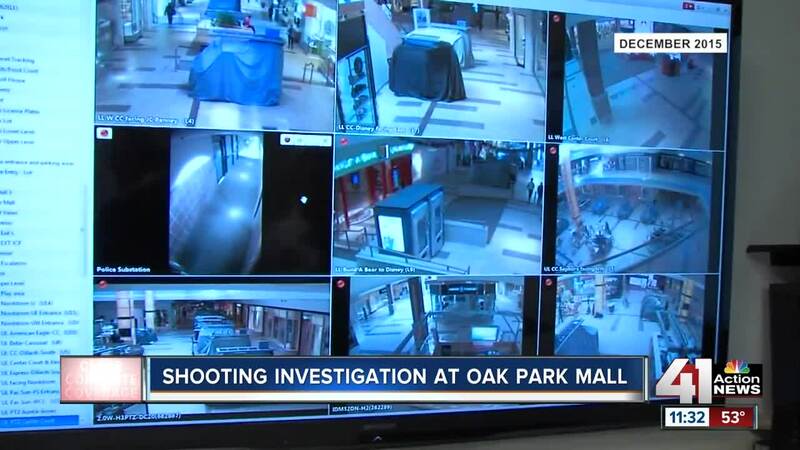 Oak Park Mall tweeted that it was closed during the investigation, but late Wednesday night the mall announced it would resume normal hours Thursday, opening at 10 a.m., and thanked emergency responders. We’d like to thank @OverlandPark_PD, @OlathePolice and @LenexaPolice for their quick response. We will work with Overland Park Police as they continue their investigation. News of the shooting did not keep Monique Ridley from visiting the mall Thursday. "It's pretty safe around here, but you never know. I just have faith and believe that I'm good," she said. This incdent comes after another shooting at the mall in October , when police say three men got into an altercation in the mall parking lot and one of the men fired at the other two as they attempted to run inside the mall. No one was injured during that incident.